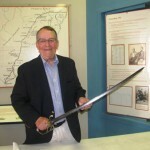 Dr. Haile, who spoke to the Old Edgefield District Genealogical Society ten days ago, offered this opening story about his “Grandfather Hambden Brooks (brother of Preston Brooks),” before telling of the family family sword he brought with him and about its identifications. 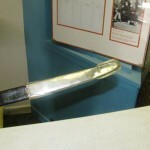 Other factors about the sword were noted by Dr. Haile. 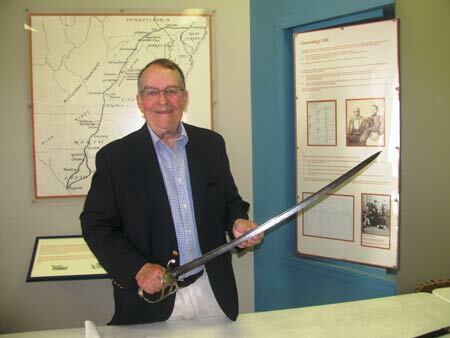 After a discussion with Dr. Jack Meyer, the conclusion was made that the sword was made in England. Since it came from Mexico, the fact that the Mexican Army was using mostly British and Spanish weapons at this time is importatnt.